Purchase orders and purchase requisitions are very similar concepts. 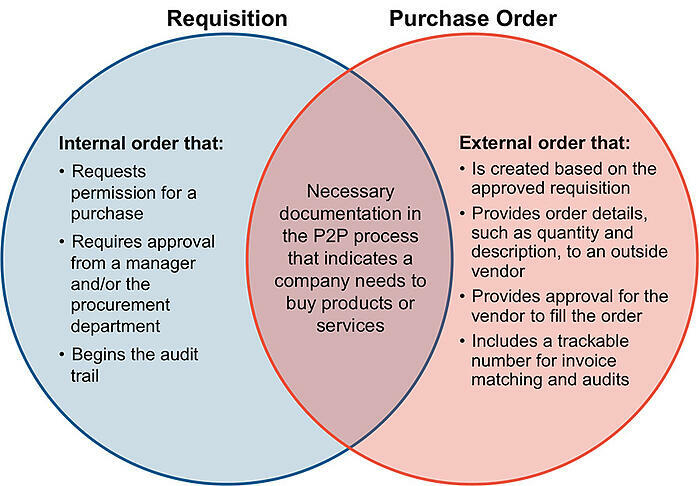 Due to their similarities, it’s easy to think that it is redundant to use both – but for most companies, purchase orders and requisitions serve very different purposes, and both are necessary to fulfill different requirements in the Purchase-to-Pay process. At their most basic level, purchase orders and requisitions are both processes that indicate a company needs to buy goods or services. However, the main difference is that requisitions are internal orders intended to request permission from within the company for purchases, and purchase orders are external instructions sent to suppliers or vendors to make the purchase. Here’s an example: A member of the IT team determines that her company needs to buy five new laptops for new employees. She is not responsible for purchases, however, so she does not have the correct permissions to make orders over a certain dollar amount. Instead, she submits to her manager a requisition containing her department, the quantity and description of the laptops, the estimated price, and the chosen vendor for permission to make the purchase. Her manager approves and sends the request to the procurement department. The purchasing manager in the procurement department has the correct permissions for buying the laptops and uses the approved requisition to fill out a purchase order. He then sends the purchase order – which is given a unique, trackable number – to the laptop vendor to fulfill the order. Or, he may send it to multiple vendors as an RFP to source quotes for the best value. At this point, it may still seem like this process has redundant steps. Or at the very least, it creates more work for all parties throughout the process. Why can’t companies just use one document for requesting a purchase through placing the order? The answer is control. By using both requisitions and purchase orders, companies maintain greater control over employee spending. Procurement departments have better visibility into overall company spend and can see where reductions can be made or where purchases can be combined to receive discounts. They can also use the information from the requisition to source multiple vendor quotes, ensuring that the company is receiving the best quality products or services for the best price. Having both requisitions and purchase orders on file is also important for audits, with requisitions serving as the first piece of documentation for the purchasing audit trail. Additionally, having several layers of documentation reduces the risk of rogue employees committing fraud or making unnecessary purchases. 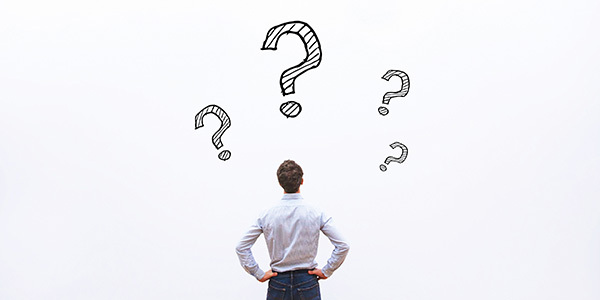 If purchase orders and requisitions serve different – and important – purposes, then why have some companies foregone the use of both completely in favor of making credit card purchases? Requisitions and purchase orders are not a one-size-fits-all solution. Using a credit card for purchases of a certain nature or for items that are lower than a certain dollar amount is perfectly acceptable – and yes, easier in many cases. For those types of purchases, there is often little to be gained in bulk discounts and the like by going through the procurement team. But for purchases over a certain dollar threshold, requisitions and POs should be used, not avoided. Employees, however, often tried to sidestep the process because it became too time consuming. It was a clunky, manual, paper-driven workflow that didn’t allow flexibility. If changes were made to the requisition, such as increasing the quantity, then that change had to be made manually to the purchase order – and those changes often got lost along the way through the layers of paperwork and approvals, leading to incorrect orders and mismatched documentation. With P2P automation, however, that cumbersome process is a thing of the past. P2P automation software allows for easy, automatic updates to requisitions and purchase orders, providing approval reroutes as necessary. In addition, your documentation is stored digitally for automatic matching with PO numbers, invoices, and delivery receipts. Automation also alleviates audit pain: Requisitions are digitally tied to purchase orders, receipts, and invoices in the system, making for a clean, easily accessible audit trail. Looking for a way to streamline your requisition and purchase order process with automation? Contact us.